By Kiilu Nyasha, published first here. This report is just the tip of the iceberg. I've had to cut so much of the information I've gleaned doing the research into U.S. gulags to curb length. So this paper is just the first part of a series I'm pulling together. The next segment will focus on the history of U.S. prisons and the rise of the prison industrial complex. I'm hoping this series will be a wake-up call to the general public as well as the Movement that we must take action against the terror of a growing police state -- and fascism. The recently exposed tortures by American troops at Abu Ghraib prison in Iraq were part of a long history of prison brutalities in America's torture chambers. In fact, among the torturers were prison guards transferred directly from U.S. prisons where similar tortures are inflicted on their captives. American torture chambers necessarily include death rows. It is surely a torture to have impending execution hanging over one's head for years on end. Just this month, at San Quentin -- where over 650 await state murder -- a death row prisoner committed suicide (S.F. Chronicle, 12/2/06). The Bureau of Justice Statistics (BJS),as of 2003, reported of over 3300 condemned prisoners, 267 had their death sentences overturned or removed, 60 percent from Illinois where the Governor commuted all 155 death sentences after learning of the innocence of a dozen or more prisoners slated for death. In a national study (Hayes and Rowan 1988) of 401 suicides that took place in U.S. jails in 1986 "one of the largest studies of its kind" two out of every three people who committed suicide were being held in a control unit. In one year, 2005, a record 44 prisoners killed themselves in California prisons alone; 70 percent of those suicides occurred in segregation units (Thompson 2006). From 1995 - 2000, the daily count of people in disciplinary segregation increased 68 percent -- a rate of growth more than double the growth rate of the prison population overall. Some 80,000 people were confined in lockups, only a fraction of all those in high-security control units or supermax prisons. (BJS 1998, BJS 2004). In the words of prison chaplain Sister Antonia Maguire, prisoners are treated like "animals, without souls, who deserve whatever they get." Endless stories of "appalling, sadistic treatment inside America's own prisons" were uncovered during a four-month investigation, culminating in a video report titled, Torture Inc. America's Brutal Prisons, produced for BBC Channel 4 last Spring. "Abu Ghraib...was simply the export of the worst practices that take place in the domestic prison system all the time." "It's terrible to watch some of the videos and realize that you're not only seeing torture in action but, in the most extreme cases, you are witnessing young men dying....Savaged by dogs, electrocuted with cattle prods, burned by toxic chemicals, does such barbaric abuse inside U.S. jails explain the horrors that were committed in Iraq?" "In one horrific scene, a naked man, passive and vacant, is seen being led out of his cell by prison guards. They strap him into a medieval-looking device called a 'restraint chair'....Sixteen hours later, they release him... And two hours after that, he dies from a blood clot. The tape comes from Utah - but there are others from Connecticut, Florida, Texas, Arizona -- more than 20 cases of prisoners who've died in the past few years after being held in a restraint chair." Amnesty International has called for banning its use and the use of tasers, responsible for at least 70 more deaths. 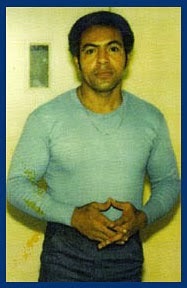 To expose the corruption and brutality of prison officers in Florida, Frank Valdes started writing to local newspapers. To shut him up, a gang of guards stormed into his cell, broke almost every one of his ribs, punctured his lung, smashed his spleen and left him to die. Several of the guards were later charged with murder, but the trial was held in their home town where nearly everyone works for the five prisons which ring the town. 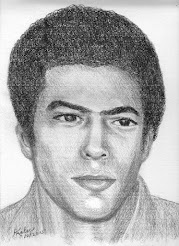 The jury foreman was a former prison officer. The guards were all acquitted, and the warden has been promoted. He's now in charge of all the Florida prisons. Also video taped are two California whistle blowers. Leaving a note calling for an investigation into the 2002 Folsom riot saying "the job killed him," Capt. Doug Piper, committed suicide less than a year after he tried to quash the filmed melee by closing the yard. Piper was stopped by his superiors who had released rival prison gangs together in an obvious set up. He was subsequently "treated like a traitor" by the other staff. Salinas Valley whistle blower Donald Vodicka, who "broke the code of silence," lost his job, his career, his finances, friends and relatives; wears a bullet proof vest and carries a concealed weapon. He was interviewed on camera at an undisclosed location because he's on the run in fear for his life. Even politicians have been targeted for inquiring into whether a code of silence is protecting corrupt officers and victimizing whistle blowers. Ca. State Senator Gloria Romero and others have received threats and intimidation by the powerful prison-guard "gang" who refer to themselves as "the green wall." Described as one of the harshest juvenile facilities in the country, the notorious junior prison at "Chad" is the scene of a savage, on-camera beating of two wards of the California Youth Authority (CYA). The BBC Video pictures the prolonged brutality and tours the CYA "prison" where youngsters were shackled and kept locked up to 23 hours a day, with tiny cages for classrooms and an outdoor cage for recreation. "Alarming cries are being heard up and down the state these days: Prisons near 200 percent capacity! Recidivism rate at nearly 70 percent! Shocking reports of violence, abuse, and neglect! Virtually no rehabilitation, treatment, or education programs! "Life-threatening" conditions place prison healthcare system in federal receivership! Entire prison system under threat of federal takeover! These words are coming from not only inmates' families, but from journalists, oversight organizations, university research centers, and numerous advocates for criminal justice, prison, and parole reform." The United States has the highest rate of incarceration in the world with 5000 prisons and jails nationwide. China holds 500,000 fewer prisoners than the U.S. with four times the population. A brand new report brings the U.S. to seven million people in prison, on probation or parole, or one out of every 32 adults. "Over the course of a year 13.5 million people spend time in jail or prison, and 95 percent of them eventually return to our communities....High rates of disease and illness among prisoners, coupled with inadequate funding for correctional health care, endanger prisoners, staff, and the public. As a result of poverty, substance abuse, and years of poor health care, prisoners as a group are much less healthy than average Americans. Every year, more than 1.5 million people are released from jail and prison carrying a life-threatening contagious disease. At least 350,000 prisoners have a serious mental illness." Capturing the degree of failure in California, Dr. Joe Goldenson noted, "There are facilities with four or five thousand people that only have two or three doctors." Some physicians are operating on a license that restricts their work to prisons because they are deemed unqualified to provide care in the community. "Prison Focus" recently reported over the last 30 years the California prison population has grown 800% and the system has expanded from 12 penitentiaries to 33 with 173,000 prisoners (a figure that can be at least doubled by those on probation or other forms of penal control.) It includes 11,600 women, 80% of whom are mothers. At Central California Women?s Facility (CCWF) women are living eight to a cell designed to hold four, a torture in and of itself. The S. F. Chronicle reported in an article last May titled, "Babies Behind Bars," more than 300 babies will be born this year -- one almost everyday -- as the state prepares to open its first prison nursery. "I think we owe it to ourselves to create community-based alternatives to mass incarceration so that the idea of babies behind bars will shock us, not pacify us," said Donna Willmott of Legal Services for Prisoners with Children in San Francisco. One young mother, described her child birth experience shackled to a bed rail. Her "most vivid memory is humiliation" and "the fleeting sensation of cuddling her newborn," whisked away by a social worker. "I cried every single day for a month," she said. Where are the Madonna's to look out for these babies? Women prisoners are statistically much less prone to violence, more likely to have been victims of sexual abuse, and much more likely to be the sole parent to their children. What's happening to their children is yet another indictment of this torture-happy system. Overcrowding has caused many prisons to operate on continual "lockdown" status, meaning that a "shockingly high" percentage of inmates are confined to their cells around the clock. While on lockdown, prisoners do not receive therapy, recreation time, educational programs or other services and are released only for an occasional shower. California's prisons are operating at double, triple and in some cases more than five times the original capacity as in High Desert State Prison at Susanville. More than 17,000 inmates are housed in areas not designed as sleeping quarters, including hallways and gymnasiums with at least 1,500 sleeping in triple-decker bunks. In Los Angeles, a lawsuit by the ACLU prompted a U.S. District Judge to remedy "almost unspeakable conditions" in county jails, where up to 60 men were housed in holding cells designed for 20 and prisoners had to take turns standing because there was no room to sit or sleep. "Inmates, particularly pretrial detainees who are imbued with presumption of innocence, deserve better than to be housed in a system which has defaulted to the lowest permissible standard of care," the judge said. (L.A. Times 10/28/06) In fact, 62% of jail prisoners have not been convicted of a crime. Incarceration is not just about slave labor and the prison industrial complex (to be addressed in another part of this series). A majority of prisoners are just being warehoused in torturous conditions for profit -- and for social and population control along economic and ethnic or "racial" lines (There's one human race.). But classism and White supremacy are alive and well. Removing the reproductive years of young Black and Brown captives precludes reproduction, divides families, and destroys poor communities. The United States spends more than 60 billion dollars annually on so-called corrections. Between 1995 and 2003, the fastest growing age bracket of state and federal prisoners was 55 and older -- at an annual cost estimated to be three times that for younger prisoners: $69,000 per year, compared with $22,000.74. (Greene & Roche 2003) More recent reports tally the annual cost per prisoner at about $30,000, doubled or tripled by segregation, age or infirmity. As of June 2005, there were 6,397 prisoners age 55 and older in California prisons unequipped to deal with their health needs. The California Legislative Analyst"s Office projects their numbers will increase to 30,200 by 2022. Since they have the lowest arrest and recidivism rates, why doesn't the State release these seniors who pose almost no risk to society" By so doing the state could have saved $9 million in 2003/2004! Instead, to relieve prison overcrowding, Gov. Arnold Schwarzenegger has issued an emergency proclamation to transfer prisoners to privately-run facilities in other states. California is poised to sign three- to five-year contracts for 2,200 beds at private prisons in Oklahoma, Indiana, Arizona and Tennessee. An additional 19 states have expressed an interest in housing California's felons, representing a total of about 10,000 beds in private and government facilities. It's obvious prisoners have become chattel, worth tens of thousands of dollars per person. Prisons are already located hundreds of miles from their homes; sending prisoners out of state would virtually eliminate family and friends' visits, and further subject them to unmonitored abuse. While demagogic politicians campaign on platforms of lockemup and throw away the key and most prisons are about punishment, a Zogby International poll released in April, 2006, found 87 percent of Americans favor rehabilitative services for prisoners as opposed to punishment only. However, as you may have noticed, politicians are beholden to the corporations who fund their campaigns, not the people. Aside from the fact that the most dangerous criminals are in the White House, there are known to be locked mental health facilities that provide humane treatment to sick prisoners who pose a danger to society. We should capture the Capitol Hill Gang ASAP and lock them into one. After decriminalizing drugs for which the vast majority of ordinary people are imprisoned, we could convert prisons and jails into various institutions for mental and physical therapy, rehabilitation, and education: hospitals, counseling and drug treatment programs, trade schools, community colleges, and universities. Of course, that would take a revolution. But as the martyred Jonathan Jackson once wrote, "If there's a big job of growing to do; the sooner begun, the sooner done." Misfortune is a test of people's fidelity. When the prison doors are opened, the real dragon will fly out."